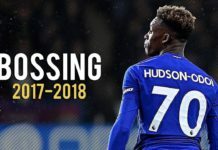 Home Premier League | News Arsenal News What’s missing from the Arsenal’s midfield jigsaw puzzle? The ‘Invincibles’ of 2003-04 will go down in the history books as one of the best teams to have graced the Premier League. It was a team that personified wholeness. Patrick Vieira, the powerhouse of the Invincibles believes the current Arsenal team are a long way behind in terms of the physical presence and leadership of the 2003/04 squad. 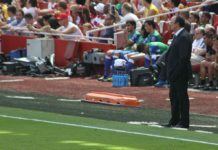 In an interview in 2016, he said, “We had [Dennis] Bergkamp, who had the flair; Thierry Henry who could finish and had so much power; athletic players with the physical aspect like Sol Campbell; and some really strong personalities with [Jens] Lehmann or the back four.” Not to mention, Arsenal had the enormous giant that is, Patrick Vieira in midfield too. That balance in a squad seldom leads to underperformance. Restoring that balance is key; something that Mourinho is doing currently at Manchester United. They have the flair in attack, the physical presence, and athleticism in midfield and defence. Are Arsenal missing out on a trick here? The last time the Premier League found refuge at the London club was back when they still called Highbury, their home. Arsenal moved to the Emirates in 2006 and along with a new home, they gave rise to a new style of play. Arsenal had seen a massive shift in their ideology. Pre-2005, Wenger relied heavily on the physicality and tenaciousness in midfield. His midfielders were box-to-box and weren’t afraid of getting involved in tackles to break the rhythm of the game. Post 2005, we’ve seen a lot of technical, frail figured midfielders take centre stage for any Arsenal team. Could it be a mere coincidence that 2003/04 was the last season that saw Arsenal being crowned as the English champions? Robert Pires, another of the Arsenal Invincibles believes Arsenal lacks a ‘Vieira’-type player in midfield. Arsenal at the moment have an alarming lack of depth, and quality in midfield; particularly defensive midfield. A strong, physical holding midfielder is exactly what Arsenal need to complete their midfield Jigsaw. They have tried to replace Vieira previously, with Flamini, Diaby, Song and Arteta; but none of them came close to replicating the midfield duties of the Senegalese. Arsene Wenger needs some sort of inspiration to get his team up and running in contention for trophies. Maybe the easier way to do that is reverting to the old playing style? Having lost out on Matic and Bakayoko, who are similar in stature and build to the Arsenal legend; Arsenal could try to sign Goretzka, a technically gifted holding midfielder who is turning heads in Germany; or step up their pursuit of William Carvalho of Sporting Lisbon. Signing someone of that kind would ensure proper protection to the much-maligned Arsenal defense and can equally contribute to attacks, which is a necessity for Arsenal.